While this information is not specifically listed in the available literature, Tolmiea menziesii occurs most commonly in mid to late successional forested communities. 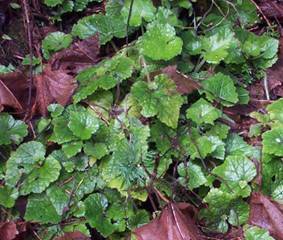 The plant is sometimes found in association with red alder on early successional sites. It is tolerant of shade and varying moisture levels. The simplest method is to remove plantlets or take leaf cuttings. To divide: either separate the root ball or remove offshoots. Due to its strong ability to reproduce and spread vegetatively its lifespan is indeterminate. When the plant begins to appear sparse and the leaf density is low, cut back the plant and root the cuttings to increase the total number of individually rooted plants. Heritage Program, Department of Natural Resources, Olympia, WA, 120 pp.